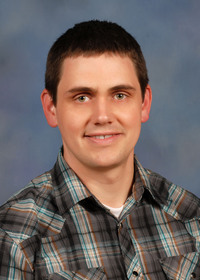 The information presented on this page was originally released on January 18, 2013. It may not be outdated, but please search our site for more current information. If you plan to quote or reference this information in a publication, please check with the Extension specialist or author before proceeding. Much of the state got a dose of winter weather last week. Seeing pictures of gardens and landscapes farther north covered in a blanket of snow made me thankful for living on the coast. 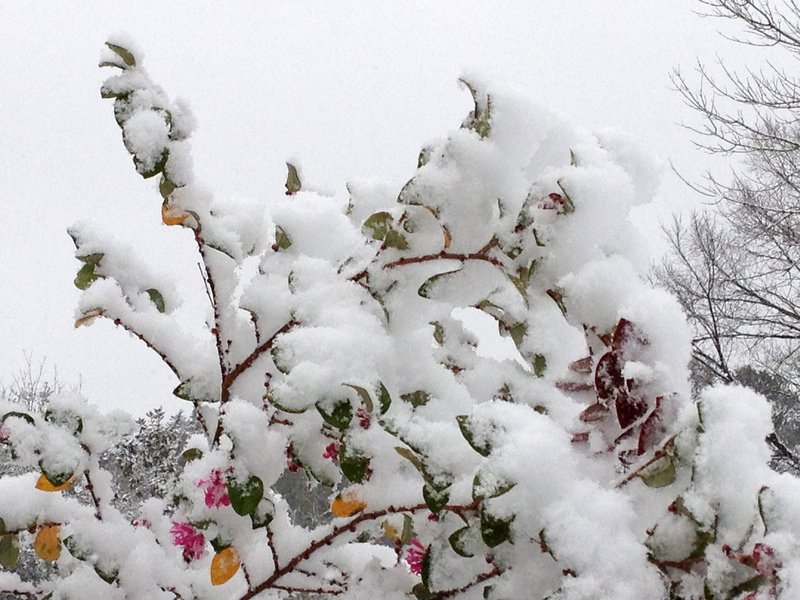 Having lived in colder climates, I had enough of snow before coming to Mississippi. 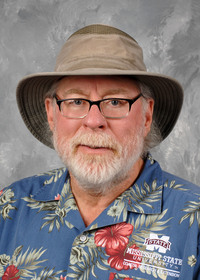 All this cold weather is getting me ready for the warmer spring and summer months, and I know many other gardeners feel the same way. The catalogs that seem to multiply in our mailboxes promote the latest and greatest flowering annuals and perennials. Dreaming about the colors and variety available soon makes it easy to ignore some of the shrubs that provide the backbone of our landscapes. Loropetalum is one of the best landscape shrubs we can grow. There are many selections available that will fill any landscape need. I especially like the burgundy leaf varieties, and you may recall me writing in the past about my favorites that have red/burgundy/maroon-colored foliage. The flowers of loropetalum are strap-like and reminiscent of witch hazel flowers. These start to bloom in early spring and then sporadically through the rest of the summer. 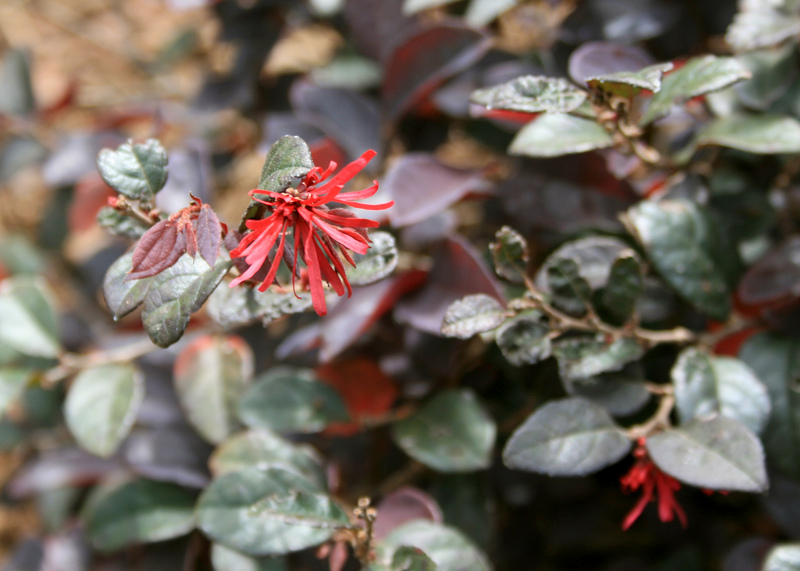 The burgundy-leaved loropetalum varieties have pink to red flowers, while green varieties have white flowers. Burgundy loropetalum was selected as a Mississippi Medallion Winner in 2001 and is still a landscape favorite. This selection will grow to 10 feet or more if left unpruned. Loropetalum tolerates pruning well if you want your plant to remain a certain size. The foliage of this variety is reddish purple, although cooler temperatures in the fall can turn it a bright orange. The flowers have twisted straps and are hot pink in color and have a delicate fragrance. One of the nicest varieties introduced in recent years is Purple Pixie loropetalum. The foliage is a deep purple/burgundy, and the plant is evergreen. I really like the growth habit, which is distinctly weeping. 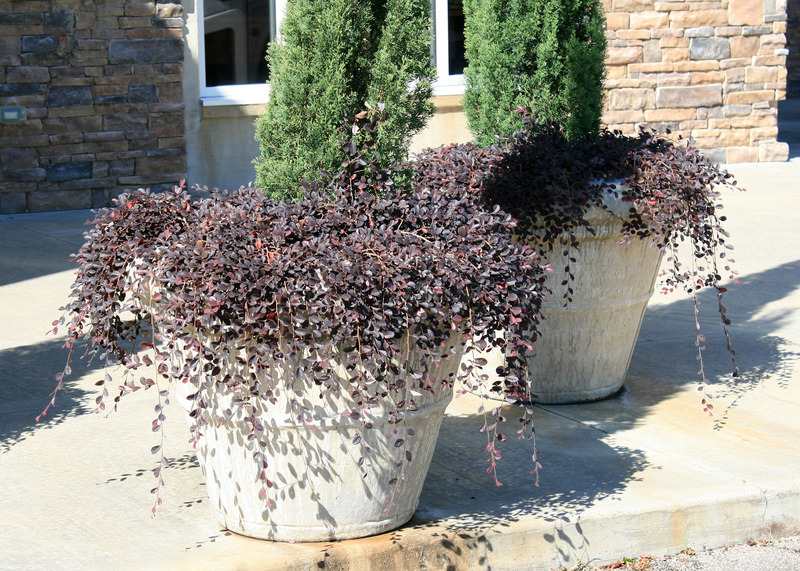 This feature makes Purple Pixie a good choice for the spiller plant in a combination container. Consider using this loropetalum as a perennial, and then use annuals as thrillers and fillers, according to the season. As a ground cover plant, Purple Pixie will spread up to 4 feet wide and only about 1 foot tall. To develop the best foliage color, always plant your loropetalum in the full sun. The burgundy-leaved loropetalum tolerates partial to full shade, but the foliage will have a lot more green in these situations. Loropetalum’s watering needs are lenient. This plant tolerates the drought conditions we frequently experience in our Mississippi gardens and landscapes. This shrub tolerates many landscape soil conditions, especially if you pay special attention to the plant’s needs at planting. One of the most common mistakes gardeners make is planting loropetalum too deep. Never plant deeper than the top of the container and dig the hole at least twice as wide as the container. Amend the native soil with good organic matter when you fill in the hole. This gives the loropetalum roots a good base to grow into. Finish off with a 2-inch layer of mulch to conserve soil moisture and inhibit weeds.